Since its establishment in 1986, ISA Academy® has become one of the most respected independent security training agencies in the world. Our CEO and founder is a former Officer of the RSDF with more than 25 years of hands on operational experience in executive security. In addition, he has provided high end protection and strategic security for enterprises, organizations, star celebrities and head of states, including presidents and royal families. ISA Academy® has engrossed an impressive track record of commercial, organisational and governmental clients from all five continents; achieving an impeccable reputation worldwide as the leading independent provider of objective security solutions, support and aimed training programs. It has for the past quarter of a century maintained its leading position on the market; Recognized for its dynamic approach, use of superior methods, proven techniques and engendering of professional results. 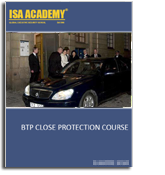 Numerous of the methods and techniques developed by ISA Academy® throughout the years, are today in use by the elitist state and government security forces and close protection details in the world. The core focus of our commitment is to use our extensive experience in counter terrorism, public and private security to dynamically structure the application to the needs directed; creating distinctive, clear, realistic and functional solutions for our clients. We are making every effort possible to provide the highest standard and quality of expertise to our clients who are serious about obtaining professional solutions. With our extensive range of first hand field experience in a diversity of exigent situations we, at ISA Academy®, know that we have what it takes to make an indisputable difference. ISA Academy® provides the highest quality of personnel with unparalleled expertise in their fields, with a commercial awareness and assured discretion. These qualities merge with our corporate commitment to the highest levels of standards to make us one of the most competitive agencies on the market today. ISA Academy® has the competency to congregate all your security requirements. 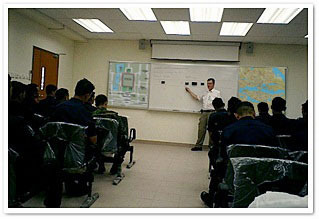 From tactical level starting with a single training module, all the way up to complete strategic security solutions. From globally delivered tailor-made training courses and scheduled training events to consulting services and complete security plans. Whether you are looking for; introductory training, advanced training, certification programs, and instructor training or complete "turn-key" security solutions - you are in the right spot.